Alexandra Foucard is a Grammy-nominated, Broadway actor. She views herself as a renaissance creator for the twenty-first century, she sets her own boundaries. Born in Haiti to French/Spaniard and Dominican/Haitian parents, the New York based actor considers herself a spicy mix of cultures and ethnicities with a big dollop of spirituality. Foucard is passionate about empowering other artists; especially women, and people of diverse cultural and ethnic backgrounds. Linda Fiorella writes shorts (Eightballs), features (Dragon), indie TV shows (Offseason), and now with Park Slope Moms - web series. She is based in NYC and Provincetown and is a recovering Aquarius, aspiring ice cream maker, and Oxford comma aficionado. Annetta Marion is an award-winning director and Primetime Emmy- nominated producer. She recently directed the television special Oprah Goes to Broadway: The Color Purple that premiered on OWN 12/19/2015. Annetta is currently the Co-Executive Producer and a Director on the acclaimed television series Oprah’s Master Class. She has also directed over 20 scripted projects including award-winning short films, a web series, commercials and numerous PSAs.Annetta is a graduate of AFI’s prestigious Directing Workshop for Women; and an active member of the Academy of Television Arts & Sciences, Director’s Guild of America, Producer’s Guild of America, and a NYWIFT board member. Stephanie Dawson is New York-based production professional with experience in long and short form narrative, commercial, and non-fiction content; Project management-oriented, highly organized and effective team leader who enjoys paperwork, engenders a pleasant environment and often breaks into song. Christine Shaw is a Brooklyn born Documentary Filmmaker and Associate Producer. She’s passionate about creating socially relevant documentaries that shine a positive light on the issues facing the African American and Caribbean community. 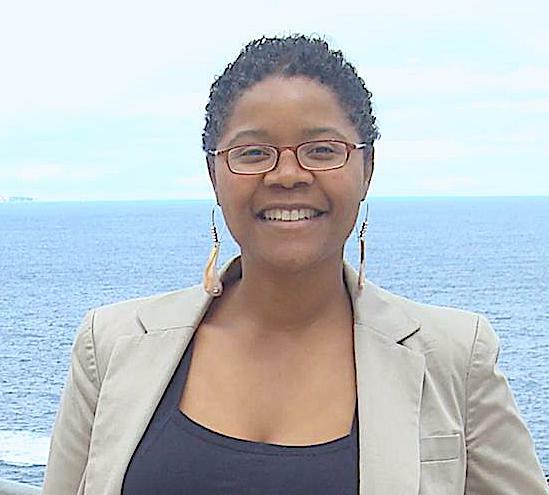 Her documentary "From Prison to NYU" was featured in the 2012 African American Women in Cinema Festival. She recently directed and filmed the Ghost in the Shell PSA which was an official selection for the Women of the Lens festival in 2017. Christine is currently in post production for a documentary about steel bands in Brooklyn and the journey they take to compete in the annual Panorama competition.